The Friends of the National Archives Southeast Region are pleased to sponsor the presentation "Records of the Works Project Administration (WPA)" with Paula Stuart-Warren, cg, on May 14th, 2013. Presenter: Paula Stuart-Warren, CG, is a professional genealogist specializing in genealogical and historical research, lecturing, consulting, and writing. Her base of operation is in Minnesota, but she frequently travels to repositories in other states and loves searching for WPA related material. She spent many hours researching in RG 69 (Records of the Work Projects Administration [WPA]). She is a Course Coordinator for the Salt Lake Institute of Genealogy and the Genealogical Research Institute of Pittsburgh, has lectured at National Genealogical Society and Federation of Genealogical Societies conferences and in many states and Canada. A former officer of the Association of Professional Genealogists and former board member of the Minnesota Genealogical Society, she serves on the Board of Directors of FGS. She has written for Ancestry Magazine, FGS Forum, NGS Magazine, and has her own blog Paula’s Genealogical Eclectica. www.PaulaStuartWarren.blogspot.com. Her interests focus on working one-on-one with clients needing assistance, unusual resources, manuscripts, methodology, analyzing records, the Midwest, and Native Americans. 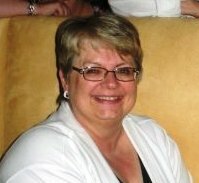 Paula is currently National Conference Co-Chair of the 2013 FGS Conference which will be held August 21-24 in Fort Wayne, Indiana. about joining the Webinar. You will use your unique URL in your confirmation email to logon to the live broadcast on the 14th of May.